These premium double poly 16oz. 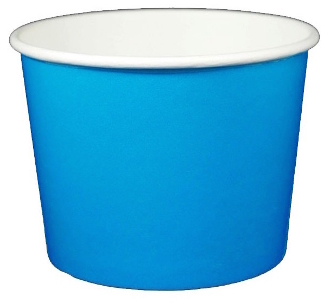 Blue Colored Paper Frozen Yogurt Cups are perfect for frozen yogurt, ice cream, and gelato. The 16 oz is the most popular size frozen yogurt cup for self serve concept shops. Lids sold separately.